Ganau's new eco-friendly building is a blend of Italian aesthetics and sustainable principles. Ganau shows its commitment to respect our environment by installing solar panels, selecting green building materials and using high efficiency lighting and machines. The new facility includes 5,000 square feet of office space and more than 35,000 square feet of warehouse space with 22-foot interior clearance height. "Our new building is a living example of our ongoing commitment to our industry, our community, and to our customers," said company CEO Mariella Ganau. "Its upgraded technology, improved efficiency and doubled capacity improves the way we do business and, once again, raises the bar for the cork industry." The 120 kW solar power system installed on Ganau's roof is yet another innovation. 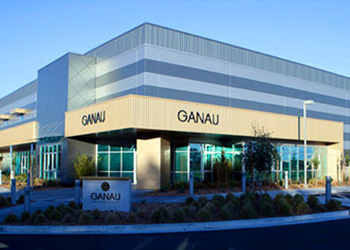 To meet Ganau's needs, Sunlight Electric of Sonoma custom-designed an innovative non-penetrating racking system to support the panels at a 15-degree tilt to maximize solar production. Through its use, Ganau will prevent the emission of over 5,000,000 pounds of carbon dioxide over the next twenty years -- the equivalent of planting 24 acres of trees. 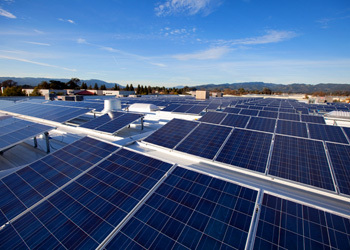 The system installation was completed by Shamrock Renewable Energy Services of San Ramon. Cork is a renewable, biodegradable and recyclable material. Since 1941, The Ganau family has been committed to producing and providing quality corks to discerning winemakers worldwide.